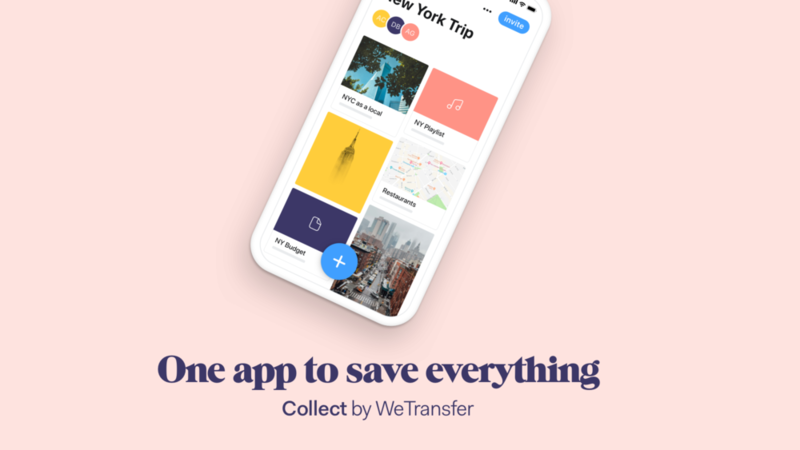 October 30, 2018 - Today, WeTransfer announced the relaunch of their mobile app as Collect by WeTransfer, reimagining the way we can save, organize, and share media in the mobile space. Collect by WeTransfer introduces a new way for users to build ideas together in a visual way, allowing multiple people to add photos, videos, articles, notes, songs, and links to one unified place. Users can save any type of media to boards, which can then be edited collaboratively and shared with others. 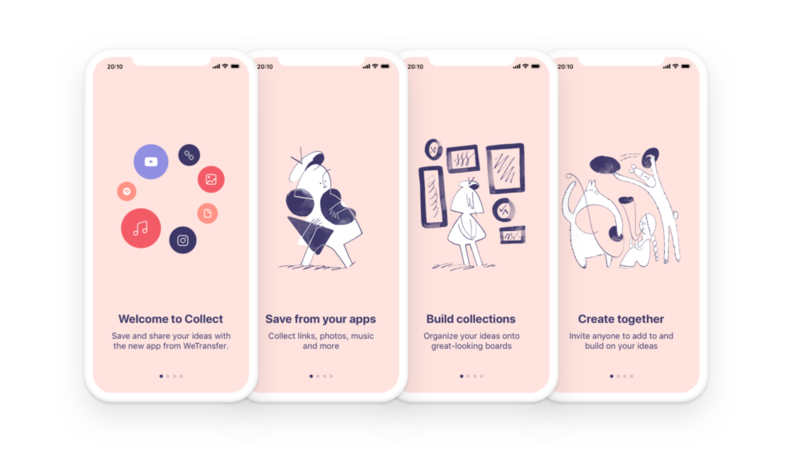 The new app also features cheeky, instructive illustrations by Roman Muradov, which walk users through all of the app’s features for collecting, sharing, and collaborating. Collect is the latest in WeTransfer’s family of intuitive, user-friendly tools for creative work. The tools also include WePresent (an editorial platform with 2 million monthly readers), and the original web platform, WeTransfer.com, (with 42 million monthly active users and over a billion files sent each month). In August of this year, WeTransfer acquired popular sketching app Paper and collaborative presentation app Paste. Collect by WeTransfer fills the gap for a simple and beautiful mobile experience that allows people to organize anything from any app. Collect provides the ability to quickly collect and share content in a visual way — whether it’s sharing recipes, collaborating on a house remodel, planning a trip, or creating a mood board — while also allowing users to share a quick link to a single large file. WeTransfer’s products are used by over 50 million people each month and the company was recently named one of Fast Company’s most innovative businesses of 2018. All images must be captioned and credited, only to be used in the context of this press release.